"This valuable resource provides detailed health and safety information on the hazardous and toxic properties of over 1,000 heavily used industrial and consumer chemicals. Lists chemicals both alphabetically and numerically according to their Chemical Abstract Service number permitting rapid access to specific data!" Sources of toxicity data; toxicological and hazardous properties data. 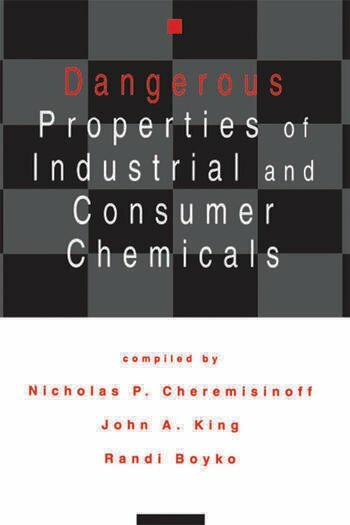 "A very valuable book for those working in the field of dangerous or suspected dangerous chemicals. "